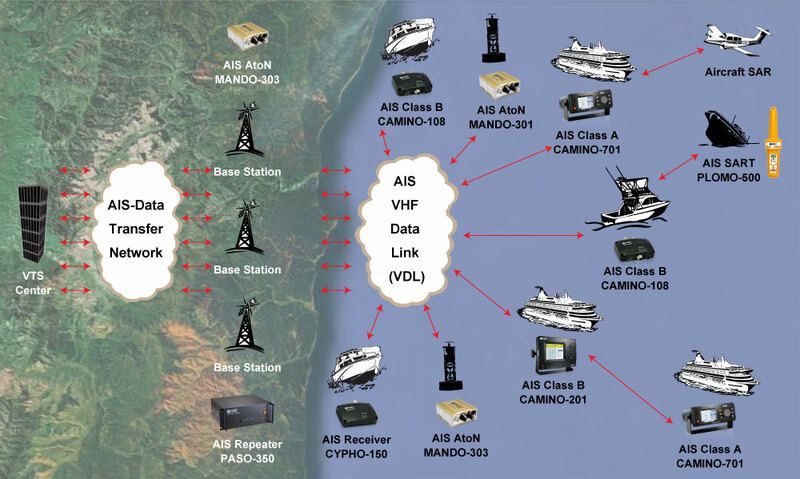 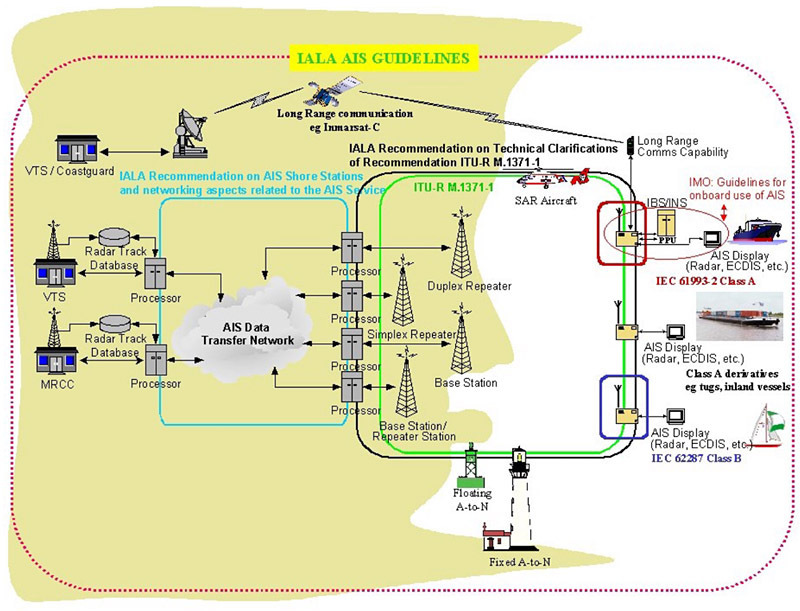 The following diagram from IALA guideline shows a good overview of AIS networks. Several building blocks of AIS network are depicted in the diagram. In respect to the building blocks in the IALA diagram, AMEC offers complete AIS solutions demonstrated in the following diagram.